On offense it was running back Noah Cain, the IMG Academy product gave 61,000 fans a look at his ability to both break tackles and avoid them all together. Cain racked up 45-yards and two touchdowns on 12 carries as the Blue team beat the White team, 24-7. While Cain is miles from truly being compared to his predecessors, his balance and ability to break plays both physically and with finesses would remind the most observant fans of a young Saquon Barkley or Miles Sanders. Cain's shifty hips and leg drive was plenty impressive in a game that didn't matter, but a game that nevertheless marked his Penn State debut. In reality Cain will have plenty of work to do to even earn carries this season as both Ricky Slade and Journey Brown seem slated to do the majority of the work this year. Incoming freshman Devyn Ford will enroll later this summer, only adding to the talent pool in the running back room. Across the ball, it was five-star freshman linebacker Brandon Smith that showed off his body and abilities as he led the white defense with six tackles and broke up one key late-game pass by Sean Clifford. And in coverage and on special teams it was State College native Keaton Ellis, the cornerback continuing to rise up the depth chart just months into his collegiate career. He had four tackles to his name on Saturday and seems poised to help at least in part, with return duties. "Keaton has been very impressive," Franklin said. "He graduated early, has been on campus, and has really done a good job in the weight room. He has length, he's gotten stronger and I think we like to recruit DBs who played wide receiver and he's a guy who has really natural ball skills. That showed up." "He was able to make a bunch of big plays on the ball, he's confident when the ball is in the air. A lot of times you've got to coach guys through that, some guys panic when the ball is in the air, he's very confident, he's very comfortable. You guys have heard me say before, it's easy to get on the field the farther away from the ball you are, and he kind of checks all the boxes right now. "He obviously has to have a great summer, but he's put himself in a really good position to compete for significant playing time on special teams and defense." For everyone else it was an afternoon full of things you might have anticipated. Sean Clifford looked solid, going 11-for-18 for 118 yards and a touchdown, the offensive line in front of him competent along the way. Micah Parsons looked even more confident at linebacker and a host of receivers managed to look the part as the game sped by in just under two hours. 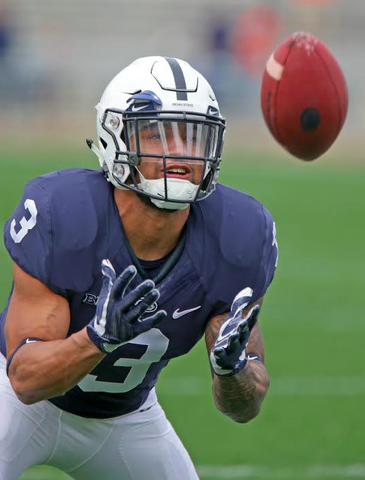 Penn State will head into the summer with questions left to answer, ones that may or may not be answered over the course of the 2019 season. But on a day that is as much about the upcoming year as it is about showcasing what is coming down the pipeline, fans could leave Beaver Stadium satisfied that while old stars are gone, new ones are on the way. It was the turn of the millennium when Steve Jones succeeded the late, great Fran Fisher in the broadcast booth. 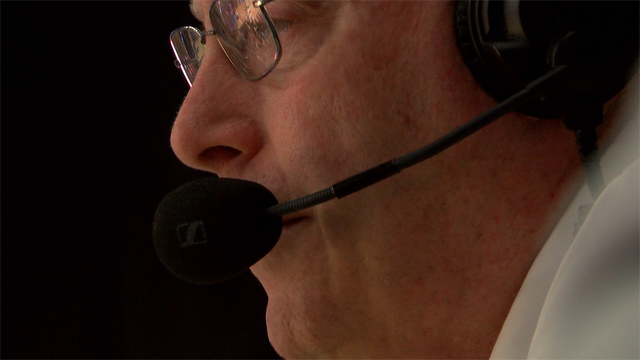 Now, with Penn State's 2019 Blue-White Game, Jones marks the start of his 20th season as the voice of Penn State football.